Remove target nonblack creature from the game. 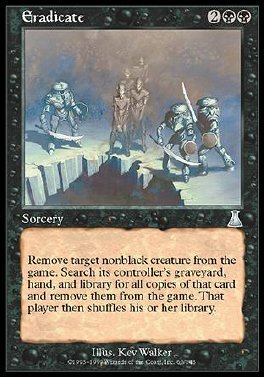 Search its controller's graveyard, hand, and library for all cards with the same name as that creature and remove them from the game. That player then shuffles his or her library.